Diamond Details: 17 Round brilliant cut white diamonds, of F color, VS2 clarity and excellent cut and brilliance, weighing 4.08 carats total. 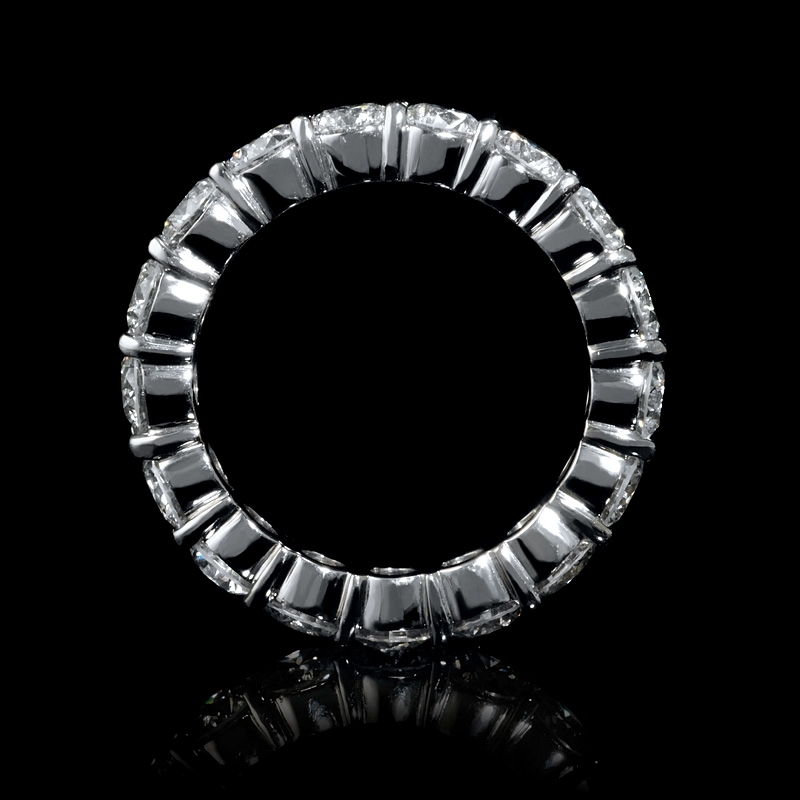 This gorgeous platinum eternity wedding band ring, features 17 round brilliant cut white diamonds, common prong set, of F color, VS2 clarity and excellent cut and brilliance, weighing 4.08 carats total. 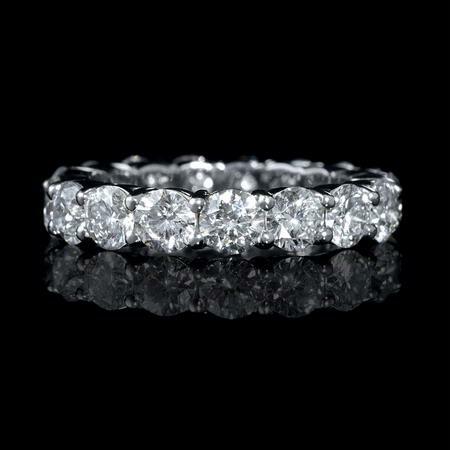 This ring is size 6.5 and is 4mm at the widest point. There may be an additional cost for larger sizes. Please inquire prior to buying. 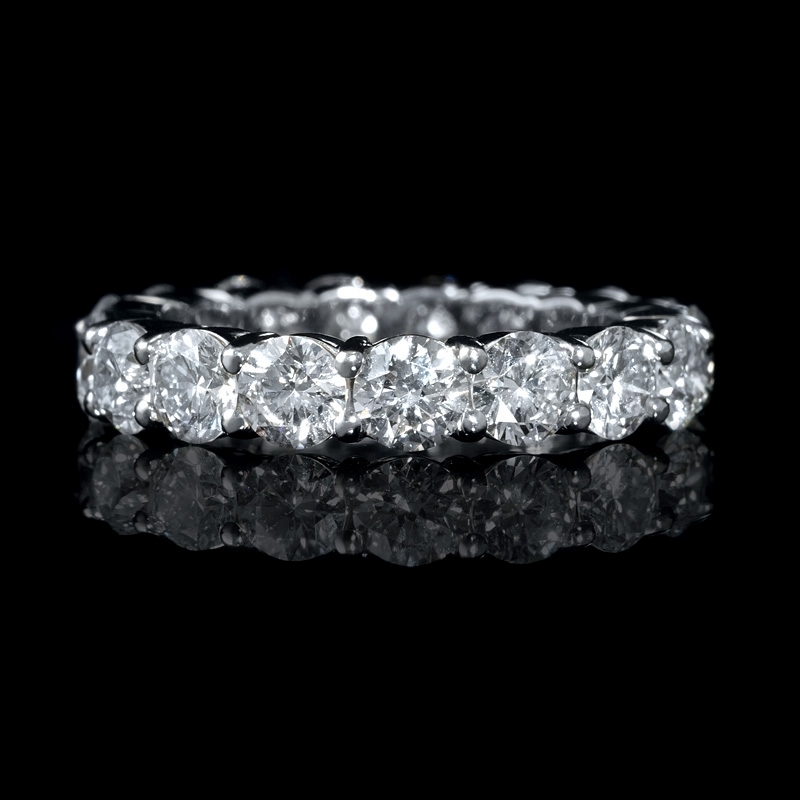 The ring can also be ordered to size and will take approximately 3-4 weeks to deliver.